The holidays are a time when families come together and gifts are shared. How many of you have childhood memories of not getting what you wanted? Because of this memory you may have been a parent who gave your child everything he or she wanted—and you now realize that giving your child everything may not have been the best course of action because at the age of 50, your child still relies on you not only for advice but for financial support and he or she may still be living in your household. How many of you were aware as young children that your parents worked hard to support the family—that there was a lack of extra money—and as a result you appreciated the small gifts received? How many of you took responsibility to work to buy the things that you wanted rather than relying on your parents to provide these things? I read in an article that Bill Gates and Gordon Sumner, also known as Sting, have told their children that they will not inherit millions. Sometimes getting what we want means that we must take responsibility for earning or for achieving the goals or things we desire. 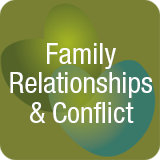 These early memories of not getting what we want often intrude into caregiving relationships when parents need care and children remember unfair or imperfect parental relationships. 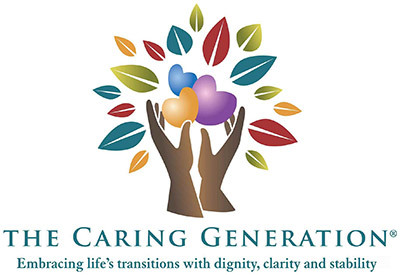 In my upcoming book, The Caregiving Trap: Solutions for Life’s Unexpected Changes® family and caregiving relationships are discussed in a personal and realistic manner discussing many aspects of early relationships that affect caregiving relationships later in life. Whether what we want is an equitable caregiving relationship or to receive an occasional “thank you” from a care recipient, there are ways to achieve this goal by utilizing communication strategies to support conversations of care. In many situations we have conversations with ourselves about statements we would like to make but that never pass through our lips to become words. Why do some of us find expressing our feelings to be difficult? This difficulty may be the result of our early upbringing. Some children were taught never to complain, others may have been raised in families where arguments were common and now as an adult, the idea of arguing or expressing feelings has become a negative. We all carry aspects of our childhood into adulthood. Because caregiving relationships are so personal—changing a parent’s Depends or giving mom or dad a bath or shower—the importance of honest discussions is critical. If you’ve seen the movie, The Judge, there is a scene where Robert Downey Jr. (the son) helps Robert Duvall (his father) in the shower because of an incontinence accident resulting from cancer treatment. Caregiving doesn’t get much more personal than helping a parent clean up after bladder or bowel accident. This is where discussions about what an adult child caregiver is able and willing to do is important. Not all children are comfortable helping in such personal situations. Not all parents want their children to bathe or to change them. Discussions around “what ifs” are important years before care is needed so that when the time arises, plans have already been discussed relative to who and how care will be provided. The Caregiving Trap: Solutions for Life’s Unexpected Changes® supports these conversations.